It’s Super Bowl time everyone, and that means Watch Parties are going to happen. It’s the Patriots VS the Falcons in what should turn out to be a high scoring affair. This game will make history. One quarterback has the potential to win more Super Bowls than any other before him (Tom Brady) or a quarterback will win his first Super Bowl (Matt Ryan). And what is a better way to impress your sports buddies than having custom framed football memorabilia hanging in your man cave? Regardless of the teams we are partnered with, we’ll frame anything you want. 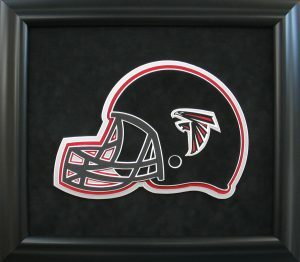 Do you have New England Patriots or Atlanta Falcons relics you would like to have framed for the big game? We’ll custom frame it and it will make all your friend jealous when they come to watch the game. Autographed pieces or not, our custom framing is what makes your memorabilia more unique than it already is. That is why so many sports teams have allowed us to auction some of our autographed pieces at their home games. 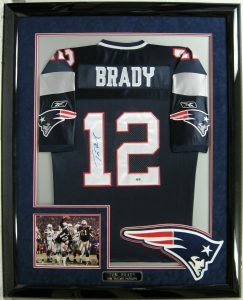 Your pieces that want to be framed can be anything, we don’t stop at framing jerseys. Do you have a ball, helmet, or shoes that you want framed? We can do it all. 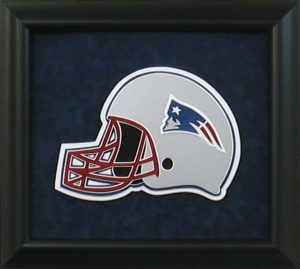 To get started on custom framing your sports memorabilia before the Super Bowl, visit us online at https://www.csdframing.com/. 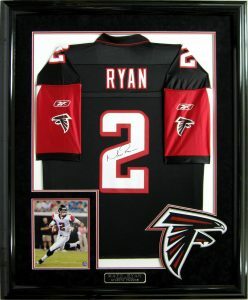 This entry was posted in entertainment, Events, Framing, Hall of Famers, History, Home Decor, Home Game Auctions, Memorabilia, Sports, Sports Items and tagged Football, Houston, Matt Ryan, Super Bowl, Tom Brady.